22: Should I commence the teeth-gnashing now? bruce drye: you guys are still doing great work. keep it up. I’m still inspired by your efforts. This week, we received some disturbing email from Canada, informing us that Jose, Peter’s employer, had had a terrible car accident. The report was that he had cuts and bruises and wasn’t at work, but he was home from the hospital. We’re not sure how seriously he was hurt, but we’ve been thinking of him because he’s a good friend and a patron. “Patron” –yes, that’s the right word. Without Jose, Turtle Trax wouldn’t be possible, and we wouldn’t have been able to come to Hawaii. Jose made it possible for Peter for all these years to take the summer and spend it with the turtles. He’s always supported the concept and the idea that we were working with and for the turtles. He even provided “Jose’s Camera”. Just last summer, completely out of the blue and as a total surprise to us, we received a package from Jose while we were in Hawaii. It turned out to be a wonderful little digital camera and underwater housing, with the capability of not just taking excellent-quality digital photographs but also making fairly high quality video. Without this camera, diving for these aging Boomers would be a lot more arduous. It’s small and easy-to-handle, not at all bulky and awkward like our past cameras and housings. Ursula calls it The Perfect-Perfect Camera. Even now, a year later, we call it “Jose’s Camera”. 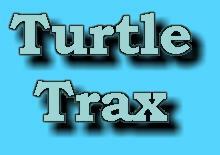 So this year our Summer 2008 weekly updates are dedicated to Jose, and for the first time this week, Turtle Trax now has a YouTube and Google Video presence. We uploaded three videos made with his camera. 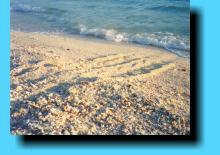 We begin with our signature video, “Honu Hula” which is also dedicate to Jose. We’re thinking of him and we’re truly grateful. Wai?–which means “Who?” in Hawaiian–is a cross, a hybrid between a hawksbill (‘ea) and green turtle (honu). We first met Wai? (yes, the name has a question mark in it) in 2004 at our alternate dive site, Kuamo’o. There are few documented hawksbill/green crosses and Wai? is the only one known to exist in the Hawaiian islands. Hawaiian hawksbills are rare so you can just imagine how unique Wai? is. What a thrill it is when this honubill makes an appearance. Wai?’s right eye has a small but worrisome tumour. Wai? is not only the first Hawaiian hawksbill/honu cross that anyone knows about, Wai? is now the first documented case of Fibropapilloma (FP) in a hawksbill/green cross. Because there are hawksbill genes involved, we’re concerned that Wai? is a possible vector that could spread FP to the Hawaiian hawksbill population-–which would be a horrible thing. This troublesome discovery is obviously important and needs to be monitored, although it’s difficult to monitor Wai? because we only see this turtle two or three times a summer. The potential for spreading the disease is there and somebody has to keep an eye on it. What follows is video of Wai? This footage is unique. While photos exist of hawksbill/green hybrid, this is the first video of such a creature. On a sad note, if you watch carefully it’s possible to see a beginning (white) tumour growing in the corner (posterior) of Wai?’s right eye. Did we mention we were busy? The rest of this weekly update will be in Reader’s Digest short form because we’re busy! We resighted Raphael. We first met “Raph” in 1992 and this Honokowai lady is still around. We resighted Uwapo. Every time we see her we’re reminded of her grievous shark attack wounds-–particularly the loss of her right flipper. We feel badly for her but we’re also glad to see her every year. We cherish every first sighting of our good friend Uwapo, who we’ve known since 1997. We made our first dive at Kuamo’o on July 19th and retrieved the third logger from The Toe. Lots of turtles at Kuamo’o. Small turtles. Big turtles. The good news is that when we emerged from the water, we both had the same perception. There seems to be far less fibropapilloma than in previous years, and there’s an encouraging number of regression cases. So good news on the honu front. Wana’s been around, and we got some neat video of her scratching. Honu like to get underneath an overhang and rub their shells against it. We assume they get some pleasure from it, since they do it a lot. Anyway, see for yourself. Oh yeah, we’re switching these summaries over to a blog format. You might have noticed. There’s still some rough edges to work out but we like what we’ve got so far. We hope you do too. You can leave comments! Let us know what you think. Peter and Ursula. I’m really enjoying this site! I can see the tumor in Wai?’s right eye. What a worry it must be for you! Aren’t the turtles majestic and graceful! I wonder if the scratching we see with Wana is because they are cleaning debris off their shells or if they can actually feel the pleasure of the scratching. I hope Jose is recovering well and will you a happy and successful holiday with your beloved turtles. P.S. I think I’m now hooked on turtles ( as if cats, dogs and birds weren’t enough). 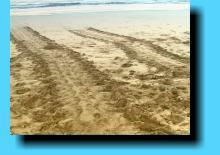 I visited Tybee Island Ga. this Aug. and fell in love with the turtles. I followed some of their sites and found yours. The underwater scenes were great and I love the following of the same turtles year after year. I am always amazed that while we are living our everday lives there is something as wonderful as this going on. I really love you sharing your time with the turtles with all of us. I will bookmark this site so I can keep up with you and your turtles. I have been watching your turtles for quite some time (several years) now and enjoy it very much and I find it extremely informative. I have seen some turtles with the tumors on Kauai. We’re off to Maui on Monday and it’s been 2 years since we were there last and I look forward to visiting the turtles again. This year I bought a Sea Life Mini Reefmaster – it’s good to 75′, not that I am. I am taking my Minolta Weathermatic as well. Hopefully I’ll get some good photos and video.